Mission: Assistance League volunteers transforming the lives of children through community programs. 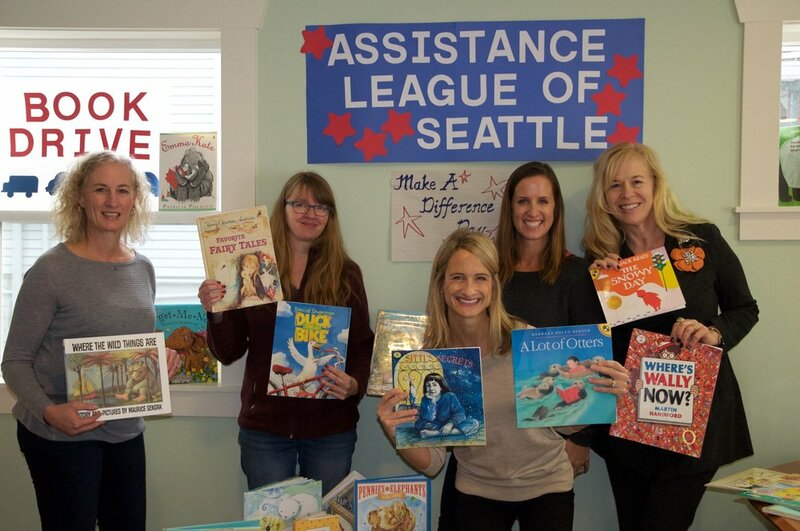 Goal: The Assistance League of Seattle has been serving our community since 1962. They believe that supporting people to stay in education is the way out of poverty. Their Thrift Shop in the Wallingford neighborhood is run completely by volunteers and helps to fund our three philanthropies. OSB (Operation School Bell) provides elementary aged school children with brand new clothing, which helps them to stay in school when they feel good about themselves. FAFE (Financial Aid For Education) provides community college scholarships for tuition and books to adult students. ESP (Enrichment Scholarship Program) awards $500 toward a non-sports summer camp program for junior high & high school students who apply. For the second year in a row, the Assistance League of Seattle is proud to announce that they have achieved Platinum Status on Guidestar! This status level provides them with the highest possible level of financial transparency to potential funders and grantors. Ways to Get Involved: They are a dynamic group with three philanthropies and a Thrift Shop in Wallingford which funds many of their causes, all volunteer-run. They have projects and ongoing opportunities for involvement. A brand new Assisteens chapter has been started, allowing teens the opportunity to join and help out other teens who are underserved. Other organizations have volunteered for property Clean Up events, etc. This fall they will have shopping nights at JCPennys when we clothe 200 kids per night and will need many volunteers to run it. They are constantly changing so they will update you any time. The attachment of our 2017 Annual Report is comprehensive and explains well what they do.